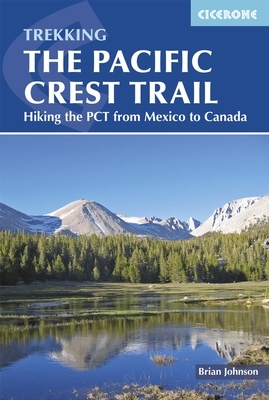 A comprehensive guidebook to the Pacific Crest Trail (PCT), an epic 2650 mile trek through the USA from the Mexican border to British Columbia in Canada. One of the world's best hikes, the route passes through California, Oregon and Washington State, taking in the Mojave desert, High Sierras, Cascades and countless more wild mountains of America's west coast. The guidebook is divided into 101 sections of 2 to 3 days, which can be combined into longer days according to ability and preference. This comprehensive guide provides all the information and maps hikers will need. Alongside the notes and route descriptions, there are overview maps for the entire trail, and a detailed introduction that provides essential advice for planning and completing the route. From information on packing, supplies, water and bears, to details on the mountains, wildlife and regions encountered, this is an essential companion to taking on - and completing - this once-in-a-lifetime adventure. The PCT boasts breathtaking scenery and varied landscapes, through deserts and forests, and over snow-covered passes and along alpine ridges. This is a long wilderness trek of true adventure and exploration through diverse and stunning mountain scenery.